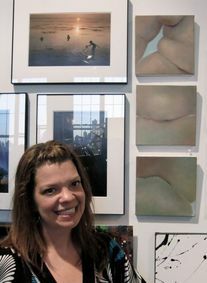 Jody Camarra has studied art in many different media (sculpture, drawing, painting, collage) and settings, including the University of Massachusetts, Mass College of Art, The Art Students League and the New York Academy of Art. She has worked with kids in various community programs including the Big Brother/Big Sisters, Boys & Girls Club, YWCA and 92nd Street Y Camp. 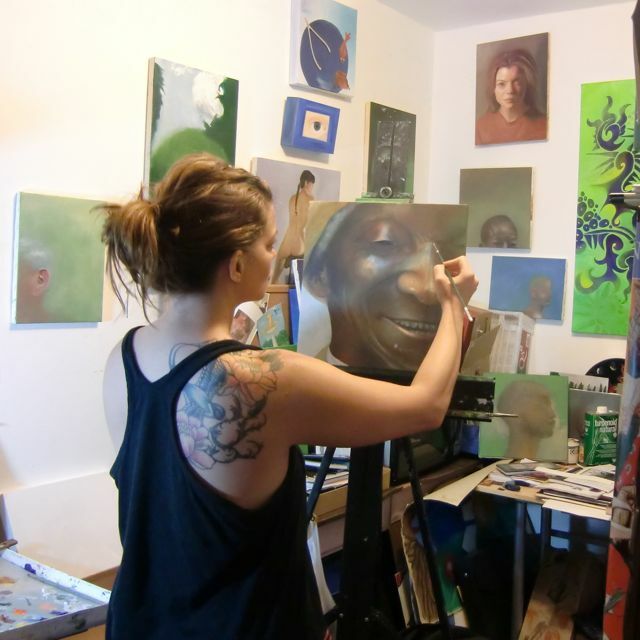 Through the Pratt Institute ADE program, she has taught in the Saturday Art School. Jody has a passion for experimenting, creating, learning from and teaching children. She is a small business owner and fitness instructor for local moms who aspire to get fit with their babies, and is currently pursuing a Masters degree in Art and Design Education at Pratt. Jody lives in Williamsburg with her husband and daughter and another one on the way due this spring. 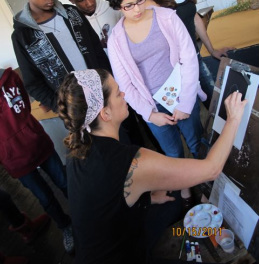 In 2012, Jody co-founded the small hands workshop with another local mom and educator (more here). In 2004 Jody left her advertising sales career track to explore her artistic vision(s). For the two years following she was primarily a student at the Art Students League, sculpting and drawing 5 mornings a week and at the New York Academy of Art painting in the evenings. During this time, Jody worked as a mentor/teacher for an afterschool program in various NYC public High Schools for the Big Brothers/Big Sisters program through a two year grant they received. In 2006 she needed to go back to work and found a more creative position with a floral designer in NYC, where she worked for a few years until needing to go back to her previous industry in order to make ends meet. Every summer from 2006-2010, Jody spent some time in the summers studying at Art New England in Bennington, Vermont with her mom, Caryn King. Jody worked in television advertising sales once more until the birth of her first daughter in 2011. At the same time, the proposition of finding a more meaningful and fulfilling career seems essential, so she went back to school, pursuing a masters degree in Art Education at Pratt Institute.